New CIA Deputy Director's Past Intertwined With CIA's History Of Waterboarding Gina Haspel is a well-respected, career CIA officer, serving more than three decades undercover, including multiple tours as a station chief. The CIA's new second-in-command, Gina Haspel, is a decorated officer, serving more than three decades undercover. Here's one side of the resume of the CIA's new second-in-command, Gina Haspel: she's a decorated officer, serving more than three decades undercover, including multiple tours as a station chief. And here's another side: Haspel's fingerprints are all over the CIA's detention and interrogation programs. Haspel was, for a time, the chief of base at the black site prison in Thailand where some al-Qaida suspects were interrogated after the Sept. 11 attacks. Those sessions were videotaped but the tapes were destroyed in 2005, two years after a member of Congress called on the CIA to preserve such tapes. Who wrote the cable ordering their destruction? Gina Haspel. This history led Sens. Ron Wyden of Oregon and Martin Heinrich of New Mexico, both Democrats and both members of the Intelligence Committee, to write the president on Feb. 2 — the day Haspel's new role was announced — and argue "her background makes her unsuitable for the position." "The senators who are asking questions have every right to ask them," says former Rep. Jane Harman, who was briefed on the tapes back in 2002, as the ranking Democrat on the House Intelligence Committee. "After that briefing, when I could sort of stop gasping and close my mouth, I wrote a classifed letter." That letter, dated February 10, 2003, was addressed to the CIA's then-general counsel, Scott Muller. It has since been declassified. It calls on the CIA to preserve the videotapes of interrogations. "As a lawyer, as a trained lawyer, I know... it's not okay to destroy the evidence. And this was evidence. And it was deliberately destroyed," says Harman, now director of the Wilson Center, a nonpartisan Washington think tank. CIA officers — past and present — maintain it was Haspel's boss who made the decision to destroy them. Among them, a former chief of the CIA's clandestine service who has never given an on-the-record interview before. "This [the destruction of the videotapes] was not done on Gina Haspel's authority. And I know that because I was there," says John Bennett. Bennett led the clandestine service from 2010 to 2013. At the time the tapes were destroyed, he was serving as deputy to then-clandestine service chief Jose Rodriguez. Gina Haspel was Rodriguez's chief of staff. Bennett argues that attempts to block Haspel's career today for actions taken in the aftermath of the Sept. 11, 2001, terror attacks are "really very unfair." "I don't know anybody who joined the CIA to run an interrogation program," he continued, "But in the aftermath of 9/11, Gina Haspel and other colleagues stepped up to what is frankly a dirty job – because they were repeatedly assured that it was not only legal but necessary for the safety of the country. And they did it – Gina did it – because they felt it was their duty." The deputy director job at CIA is not subject to Senate confirmation. And Haspel, through a spokesperson, declined NPR's interview request. So her personal views on the CIA's — and her — actions after 9/11 remain unclear. Bob Eatinger, a CIA attorney for 24 years, says he worked closely with Haspel. He remembers meeting her when he reported to the agency's counterterrorism center in 2004. "She would come into my office," he recalls. "We were in the same vault. And [she would] want my views — either she got a cable, she got a memorandum, she got an internal email that didn't sound right to her. So she would come talk to me and say, how does this sound?" Eatinger says officers in the clandestine service, like Haspel — by definition tend to be risk-takers, comfortable with operating at the edge of what's legal. But he says Haspel is no lawbreaker. "When she asked me a legal question, I gave her a legal answer, she always followed it. She was always trying to do the right thing." After President Trump named Mike Pompeo as his CIA director, it was widely expected that the deputy-director post would go to a career CIA officer. Pompeo, a former Republican congressman from Kansas, has no direct intelligence experience, aside from serving on the House Intelligence Committee. Pompeo and Haspel take the reins at Trump's CIA, as he builds a foreign policy and national security infrastructure intent on battling terrorism driven by Islamic fundamentalism. Both on the campaign trail and since assuming the presidency, Trump has repeated his view that, "torture works." But he's also said he would defer to his defense secretary, retired Gen. Jim Mattis, who has stated he does not believe waterboarding is effective and has reiterated that it is illegal. So will the CIA, under its new leaders, stay out of the detention and interrogation business? 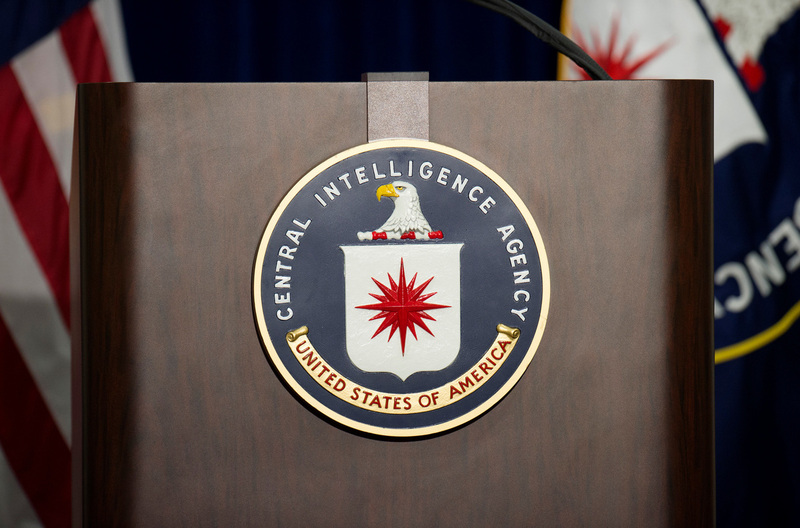 We asked John Bennett if he believes that chapter of the CIA's history is definitively closed. "I certainly hope that it's definitively closed," he replied. "I hope the agency and policymakers and Congress have learned lessons from this." Bennett added that leaving future interrogations to other government agencies would have the advantage of allowing the CIA to focus on its core strength: espionage. That's a mission that he says Gina Haspel is uniquely qualified to help lead. In the audio, as in a previous Web version of the story, we say that Gina Haspel ran a black site prison in Thailand where al-Qaida suspect Abu Zubaydah was waterboarded. She did run that site for a time after the Sept. 11 attacks, but as ProPublica has now acknowledged in a retraction of its reporting, she was not there when Zubaydah was waterboarded.